The Carinya Classic Sliding Window is a unique combination of form and function not previously available in the residential category. Carinya has many visible advantages over alternative products in addition to its obvious aesthetic qualities. These include an exclusive handle located on the mullion for ease of access and cleaner lines; and an in built weather flap – a feature of all Carinya windows – to reduce air and water infiltration, cover drain slots and minimise insect intrusion. The timeless style of the Carinya sliding window is complemented by superb engineering. A proprietary adjustable, non-corrosive roller system – the ‘engine room’ of these high performance windows – provides an effortless gliding motion that makes the window a joy to operate. Other features include an anti-lift block fitted above the sash to prevent manipulation and increase security, and mullion and transom end caps that ensure insects have no place to hide. The entire Carinya Collection has been fully tested to meet or exceed Australian Standards AS2047, AS1170, AS1191 and AS3959. 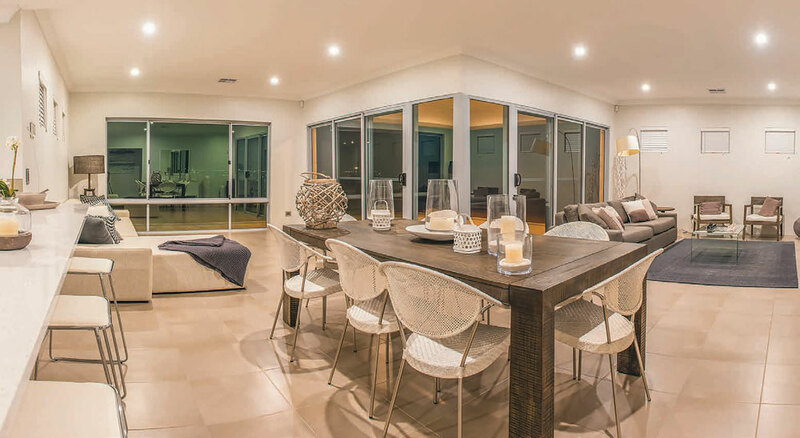 The Carinya Classic Sliding Window has been designed with matching stylish hardware, with the option for a lockable or non-lockable proprietary handle. Exclusive proprietary handle for ease of operation with optional colour finishes. The slimline handle design, mounted in an easily accessible position on the rear of the sliding sash, offers ease of use and minimises view obstruction. To maximise the performance and life of your window proprietary commercial rollers are used that have been tried and proven in commercial applications such as schools and offices. 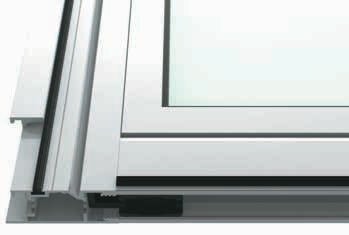 This ensures that your windows will always be easy to open, even with large sashes and heavier glass options. All Carinya Sliding Window sashes feature corner blocks in all four corners of the sliding sash. These blocks make the sash more rigid, reducing twisting and movement. This reduction in movement increases the performance of the window by reducing opportunities for air and water infiltration. Stainless housing commercial grade rollers for all glass options. 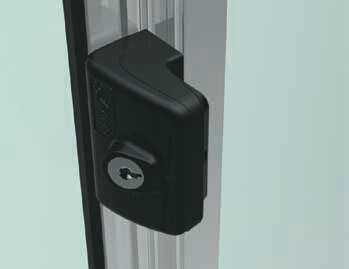 An optional vent lock is also available allowing the sliding sash to be secured in a semi-opened position for increased safety. Our Carinya Dealers are pleased to offer a solution for multiple keys for your doors and windows. It is possible to have 1 key for your front door, sliding door, french door, bi-fold door, sliding window, awning winder, double hung window and security door. With Carinya’s Master Key – there’s less keys… and less fuss!